For other people named Stephen Graham, see Stephen Graham (disambiguation). Stephen Graham (born 3 August 1973) is an English film and television actor, known for his roles as Andrew "Combo" Gascoigne in This Is England (2006) as well as its television sequels, This Is England '86 (2010), This Is England '88 (2011) and This Is England '90 (2015) and Scrum in the Pirates of the Caribbean films. Graham was born in the Southdene district of Kirkby in Lancashire, a satellite town of Liverpool, to a paediatric nurse mother and a social worker father. His paternal grandfather was Jamaican and one of his grandmothers was Swedish. He has portrayed characters from several British, Irish and American regions, including Cockney, Geordie, Liverpudlian, and a Scotsman; an Irish gang member in 19th-century New York City; a 1930s Chicago bank robber, a Brooklyn mobster, a Texan; the short-fused English nationalist, "Combo", in This Is England and a Jamaican gangster in Yardie. He was nominated for an RTS Award for his work in The Street and a British Independent Film Award for his work on This Is England. He appeared in the music videos for "I Remember" by Deadmau5 and Kaskade, both "Fluorescent Adolescent" and "When the Sun Goes Down" by the Arctic Monkeys, "Unlovable" by Babybird, directed by Johnny Depp and also the video for Leicester rock and roll band Gazelle's single "Finger on the Trigger". Graham has also appeared in the music video "Soul Vampire" by Macclesfield-based neo-psychedelic band The Virginmarys, and the music video for "Turn" by Travis, also Kasabian's video "You're in Love with a Psycho". He appeared as an inmate within the open prison system for Goldie's 'I Adore You' music video in Feb 2017. In 2011, Graham starred in the BBC Christmas show Lapland, but when the series was announced, called Being Eileen, Graham's role was recast to Dean Andrews. He also appeared on a promotional video for a DLC of the video game Call of Duty: Ghosts, titled "CODnapped". Graham is a fan of Premier League football team Liverpool F.C. and has appeared several times on Sky Sports football series Soccer AM. Film Stars Don't Die in Liverpool Joe Turner Jr.
1993 Heartbeat Barry Ward Episode: "Riders of the Storm"
1997 The Lakes Graham "Episode No.1.1"
Where the Heart Is Nick Bowen Episode: "Darkness Follows"
2005 M.I.T. : Murder Investigation Team Jason Phelps "Episode No.2.3"
2012 Accused Tony Episode: "Tracie's Story"
2013 Playhouse Presents Len Episode: "The Call Out"
Action Team Gavril Episode: "Mind Games"
^ Marlow, Lee; Smith, Daniel (20 February 2018). 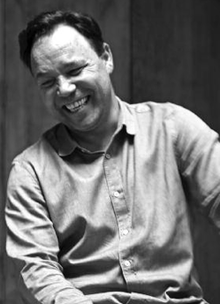 "Meet Stephen Graham, the Hollywood star who lives in a Leicestershire village". Leicester Mercury. Retrieved 30 April 2018. ^ Barkham, Patrick (30 June 2009). "'Gizza job, CBeebies'". The Guardian. Retrieved 30 April 2018. ^ McAlpine, Fraser (10 May 2009). "Deadmau5 & Kaskade - 'I Remember'". BBC. Retrieved 30 April 2018. ^ a b Gazelle Banduk. "Gazelle - Finger On The Trigger" – via YouTube. ^ Munn, Patrick (13 September 2012). "BBC One Orders Follow Up To Christmas Comedy 'Lapland', Stephen Graham's Role Recast". Retrieved 30 April 2018. ^ "Being Eileen". BBC. Retrieved 30 April 2018.